The 22-year-old Sky Sports Scholar, who finished sixth at the season opener in Cairo in March, had to borrow a team-mate's outfit after her own clothes were lost in transit to the Bulgarian capital. Her flight was initially overbooked but she managed to get a last-minute seat, only to find out her possessions had been left behind. "I was never so pleased to see my own bag," said Summers who used a team-mate's fencing kit and blades for the semi-final, and then ended up having her own gun in the laser event with the kit finally arriving midway through the competition. "I had my own kit for the final and I'm absolutely buzzing. It was a really good day, but there is still so much more to come. I'm really happy with the second half of my fence and my running." 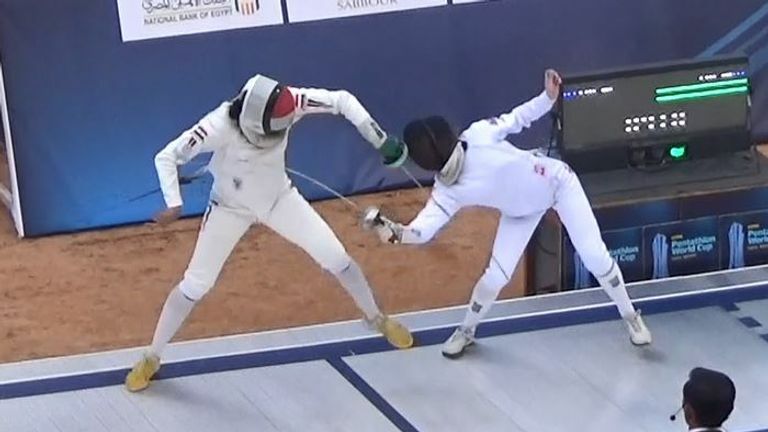 The women's final began in the pool with Summers clocking 2 mins 23.42 secs, but stepped up the pace in the fencing hall to lead the way with 24 wins and just 11 defeats from her 35 bouts. Soggy conditions ensured a tricky ride for the whole field, and Summers suffered time penalties after knocking down poles. But she battled back to produce a fine show in the laser run and crossed the line in fourth to record another brilliant performance on the international stage to secure a second successive spot on the wider podium. "It's so nice to see all the training working, and I am starting to put it together in competition," added Summers, who went full-time in the sport last June after completing studies in Paris. "I am looking forward to the rest of the season, and I'm just super happy with my performance. "Finishing fourth is my best senior result so far, so it is a huge boost for my confidence." With GB team-mate Joanna Muir also impressing in ninth, there is growing confidence in the GB camp ahead of August's European Championships at the University of Bath. Summers will return to action on Sunday in the mixed relay, where she will team up with reigning world champion Jamie Cooke on the final day of competition in Sofia.